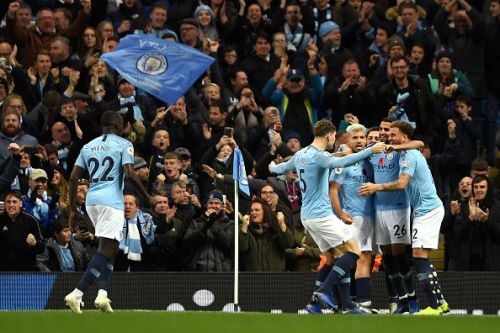 Despite the absence of creator-in-chief Kevin De Bruyne, Gabriel Jesus and with Leroy Sane warming the bench, Manchester City had enough quality on the pitch to tear the shaky Manchester United defence to shreds. Sergio Aguero has often proved to be a game changer in this fixture over the years and he got on the scoresheet once again. Barring Mahrez, all of City's attackers were running riot from the get-go. David Silva could be controlling their midfield for 2 or 3 more years the way he's going. Bernardo Silva is turning into absolute menace and Sergio Aguero will quite possibly retire as a club legend. And that's simply because they show up and deliver on big nights such as this.